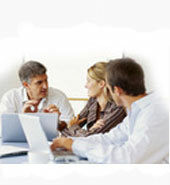 Consultancy encompasses advice and suggestions on various aspects financing businesses. These business advisory services may be start-ups or ready to undertake some expansion or diversification. We conduct detailed project appraisals to identify the various sources and uses of funds. We can undertake capital and tax structure planning with the aim of maximizing ROI, minimizing risk and achieving an optimal cost of finance. Our business advisory services also include profile build-up, getting projects appraised and approved by financial institutions and government and advising on the procurement of long / short term debt components for project. Our team of chartered accountants is well versed with the Companies Act and the company laws in India. We can assist in registering a new company in India, debt and equity issues, taxation issues, complying with all statutory requirements, filing relevant applications, expediting clearances from various authorities, expediting registration and other statutory obligations, etc.